When a script is complete it passes from the screenwriter to the director. What happens next? There are a number of actions required before production begins. In this handy guide we lay out the steps for you, peppered with tips from Ivan Barge – director of the award-winning New Zealand short film Madam Black. ADVICE FROM IVAN: Being given a great script by a writer is the best gift you can receive as a director and it should be treated as such. I try and include the writer in the whole process. It’s their story and they know it intimately, so they can help inform locations, casting and art, etc. This is your free association pass. Take the time to soak up the script and enjoy the nuances and feelings it creates. Start to think about the world. Purchase a journal so you can keep all your thoughts and ideas together. Make some notes about the general atmosphere. This can include photos and sketches too. Think about the film as a whole before you start breaking it down into specifics. What is the overall tone, feel and pacing. Are there films or other stories the script reminds you of? Visual references, songs or ideas that spring to mind? Go back and make notes for each scene. Put a post-it note on the side of the script where each new scene begins. You’ll need to come back to these often. You can even colour-code them by location! Make notes about lighting, colours and sound you think would work for each scene. Examine the dramatic highs and lows. What does each scene accomplish? Read the dialogue closely for tips about a character’s backstory. Pay attention to anything the writer has spaced out, underlined, put in brackets, written in bold, capital letters or italics. The kind of punctuation used can mean something specific. For example: Spacing usually conveys pace, and underlining is often used to affirm or reaffirm what is said. ADVICE FROM IVAN: I like to work closely with the writer during this stage. The starting point for me is to ask the question – is the story hitting all the emotional beats? I think about how it makes me feel and how that would translate to an audience. Then I seek to make the storytelling more visual, think about the ins/outs of a scene, try to be more economical with dialogue and start to add texture/world. Once that’s at a good stage, we sit down and do read-throughs of the dialogue so this can be finessed. 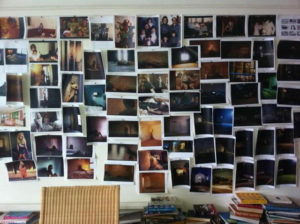 Start to collate your visual ideas for the film and put them up on the wall. 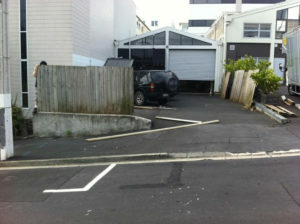 Shots from films/TV, photographs, possible cast, locations, wardrobe, props, colours and anything that seems relevant. ADVICE FROM IVAN: This part of the process can be quite infuriating for anyone who is living under the same roof as you at the time, but it will help later to inform what you send to HOD’s [Heads Of Department]. Make a list of each character that appears in your film. Add the scene numbers and where they appear, whom they interact with. Make notes about their story arc. Where do they start? Where do they end up? This will be useful later for casting, and guiding your actors. Add your thoughts on make-up and costuming. Particularly anything that may add time to the shoot such as makeup, prosthetics, complicated costumes or difficult re-sets. Characters getting wet or bloody for example will need time to clean and dry before the next take. Make a separate list of where in the script extras are needed. Make notes about their physical characteristics, demographics, wardrobe or activities they are engaged in. Usually, extras will either echo or contrast the main action of a scene. Props are important. A good prop can crystallize thematic elements of the story for your audience, reveal clues about characters or plot. A bad one can distract or jar us out of the experience. Go through your script carefully, making a list of the props required for each scene. Are there any you should add to the story to emphasise certain themes. Note in particular props that may take time or money to obtain. If any of the props are to be eaten, damaged or broken on camera you will need multiples to maintain continuity. Consider how many takes in a shot might be required to get the scene right. Be aware of health and safety risks. If there are any scenes where an actor could get hurt you need to hire a stunt coordinator. Do not use any real guns or blades. ADVICE FROM IVAN: To make sure that your story is believable the execution has to be done in such a way that the audience is never taken out of the story. This applies to everything, locations, wardrobe, casting, music and sound. Note down all of the locations your film takes place in, and how many scenes are filmed in each. More locations will mean more setups. More setups will equal less shooting time. Every filming location has its own unique set of challenges. Getting permission, organising transport, etc. It’s important you start immediately getting an idea of how many locations, how much time spent in each, and what some of the key challenges might be. ADVICE FROM IVAN: Getting the locations right is really, really important to me. I’m always worried about the wrong space, shape, feel or texture taking the audience out of the story. Create a plan describing each shot, choice of camera, lens and angle. List all the coverage to want to get from each scene. Highlight any especially difficult shots. Are there any complicated scenes that might need a track, a crane or Steadicam to shoot effectively? This could affect your budget and shoot time. Note down anything out of the ordinary, such as wanting to pull focus, the use of a very long zoom lens, or filming in/on a moving car. Are there any scenes that will require CGI, motion capture animation, painting out wires, or colour correction in post? Create a list of VFX required, so you can ensure your post-production budget allows for this. Don’t be afraid to do this even if you’re not good at drawing. Your storyboard doesn’t have to look like an artistic masterpiece. The storyboard is a tool to help everyone visualise exactly what they need to accomplish for each shot. If you want you can engage a professional storyboard artist to solidify your vision. ADVICE FROM IVAN: I draw really bad boards and think about how I can get the shots and coverage I need. I take these to a storyboard artist, normally Phil Rimmer, and he makes sense of what I’ve drawn and my ideas. Read it with the knowledge you have built from the creation of your lists. Make any new notes or observations. You are now ready for pre-production! ADVICE FROM IVAN: I get quite OCD about pre-production. I spend a lot of time preparing for a shoot and work really hard at it. The idea is to have a road map, while things do change and magic does happen on set, you should always have a plan to fall back on. Grace Vernal is a writer, film enthusiast and human encyclopedia. She does various marketing type stuff for Show Me Shorts and Basement Theatre.